Do you ever feel you’re in need of a professional reboot? It’s not so much the feeling of hitting a wall—I can certainly identify writer’s block when it comes along—it’s more of a confidence issue. Basically, I was feeling stale. 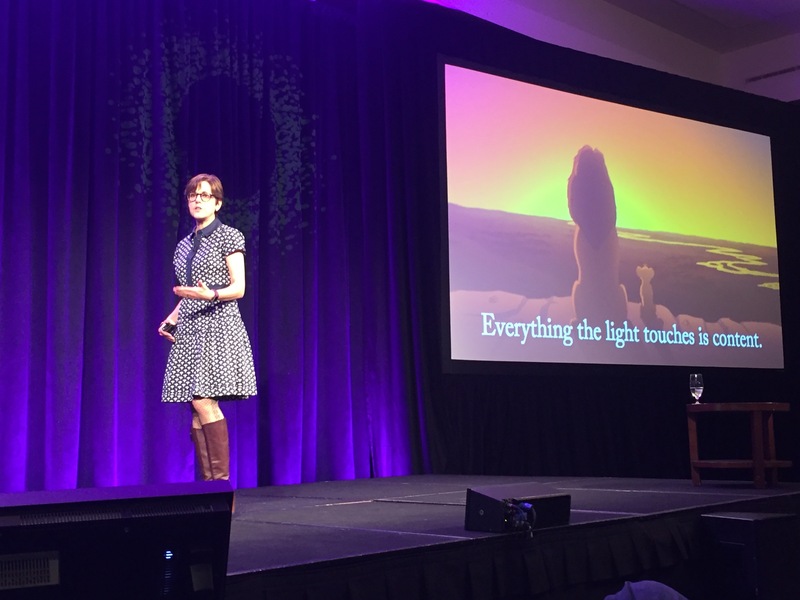 That’s when I stumbled upon the Content Marketing Conference in Boston. I only had two weeks to get approved, booked and registered, but something about their superhero enthusiasm for writing got to me. Plus, they promised good laughs throughout. The experience turned out to be everything I needed. The speakers were engaging and dynamic, and that humor they promised went a long way in making me feel more inspired about my work. In addition to the learning opportunities, conferences are a great place to get affirmation. There’s a feeling of validation in being among your tribe—in my case, my content marketing squad. Ann Hanley emphasized that content gives us the opportunity to offer our audience a full experience, a packaged story.“ It goes beyond just being “different;” the package must be extraordinary. “It should sound like a movement; it’s something you want to be part of; it’s your squad,” she said. Exceptional content builds an experience that offers much deeper value and translates into real life, seamlessly. This is the “source of the squad.” Empathy builds trust. It takes walking the talk for a customer to believe you when you tell them, “we hear you; we see you.” The relationship between brand and consumer is real and impactful. We can creatively narrate a story that resonates and builds an emotional connection on its own. This comment echoed Ann Handley when she noted that content marketing is far more about “brains than budget.” There’s a crossover between psychology and marketing for a reason. The content marketer has to study and listen before executing any creative elements. 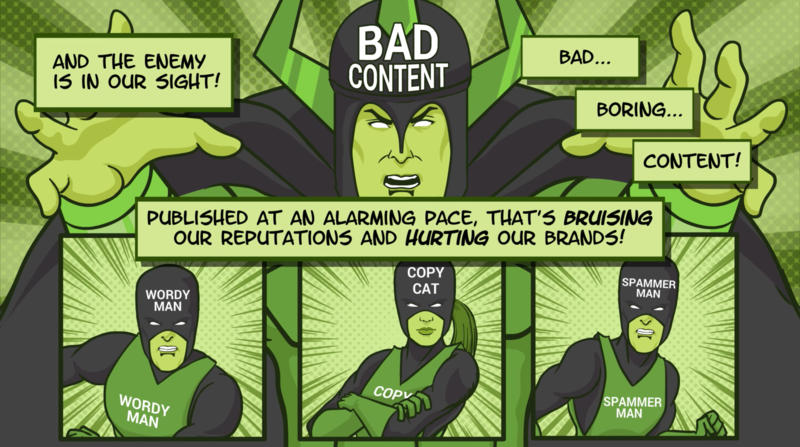 It’s a lot of responsibility, but great content is useless if not planned and executed thoughtfully. That was self-admitted risky statement to make to an audience full of writers! It was hard to hear, but important. We have to remain open to the changes in our industry—they are, after all, constant. Our role has to evolve with the digital landscape, and sometimes that means getting comfortable with new trends and new media. As a social media manager, I had to include this quote. It was followed up with the statement, “Invest more in social.” The opportunities to connect and build community are limitless. These people become that aforementioned “squad.” They can become loyal brand ambassadors. Let the data speak! Experimentation is necessary. Not every idea is going to work, but a fraction of those do work. If there is no process in place to track our content, we cannot measure performance. This is the longest haul of the process for many, but it’s essential. You might have heard the phrase “green buildings are about people.” And it’s true—who better to illustrate USGBC’s mission, to transform the way buildings are designed, built and operated, than those who are working to do this every day? Contributing writers come from many areas of the green building industry—from design and construction to urban planning and building maintenance. Our contributors are experts in their fields. Whether they represent major brands, local governments or grassroots organizations, they offer their own unique perspectives on the challenges and opportunities in green building. In most cases, a member of our communications and marketing team will work with writers throughout the development process, from brainstorming through publication. Once an idea is pitched, we can begin drafting. We listen to a writer’s messages and goals for sharing their stories. Our job is to make sure that the article, while remaining authentic to the writer’s voice and expertise, meets our needs as a content provider for a wide audience. This is where setting expectations can play a vital role in shaping and delivering optimal content. Doing this up front ensures that we provide timely and relevant information for our customers. Having in-house guidelines for tone, style, length and format also makes sure that our messaging is consistent across the dozens of platforms we manage. The majority of usgbc.org readers are green building and LEED professionals. For your company, keep in mind whom you’re writing for, and consider what will be most useful to your target audience. Focus on the “how” and “why” of any content piece—going deeper into any challenges, solutions and benefits. Pro tip: Readers should be able to come away with an understanding of how to apply the information presented. We publish articles of about 300–500 words on our sites, and never more than 700 words. 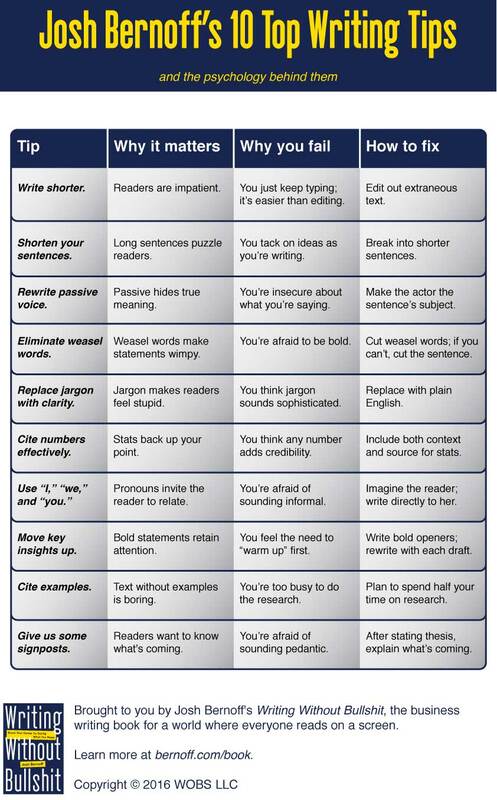 Having a word limit not only keeps content regular across channels, but challenging yourself to say what you mean in fewer words is an excellent exercise in honing your ability to communicate clearly and concisely. Pro tip: Get to the point early on. Express the main issue, opinion or purpose of the piece in the first or second paragraph. Articles are an extension of your personal platform as a subject-matter expert, and reflect your ability to connect with audiences in a meaningful way. To that end, the tone of your article should be conversational and professional. Pro tip: Use clear, illustrative language that conveys the impact, benefit and implications of what you are writing about and avoids personal commentary. Every article should include a clear takeaway, lesson learned or call to action. In addition to having information significant to the user within the body of the text, at USGBC, we include a button at the end of each article that links to further details on the topic, a sign-up form or an event registration page. Pro tip: Always include a way for the customer to take some type of action to further their journey. For more tips, read our one-pager for contributing writers.